Home Entertainment News SURPRISE! Kehlani is PREGNANT & She’s Having A GIRL! SURPRISE! Kehlani is PREGNANT & She’s Having A GIRL! UPDATE: Kehlani called in to Nicki Minaj’s Queen radio this evening and confirmed she and her man planned the pregnancy. It took her only one cycle to get pregnant, and she found out at 3 weeks. Her baby’s father is also bisexual, so she says, “I’m glad I have someone who really understands me.” As for marriage, she said it’s something she has to think about over time and they want to “grow up more” together. 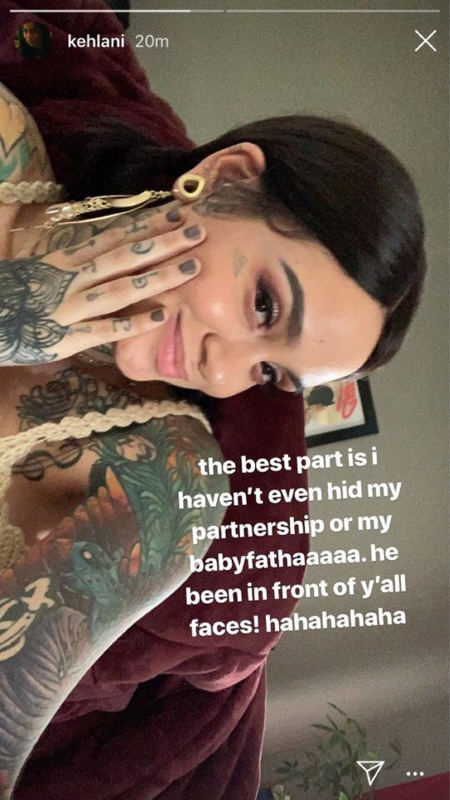 Congrats are in order for Kehlani! The singer just announced she’s four months pregnant with her first child. And it’s a girl! The 23-year-old hopped on social media to reveal pics of her growing baby bump, filling her fans in on all the details. “I’ve always been very open with you all about my personal adventures & accomplishments… this was the HARDEST to hide. if you know me, you know i’ve dreamt about motherhood since i was very young,” she captioned on Instagram attached to a maternity shoot. Earlier this Kehlani came out as “queer.” After calling it quits with her girlfriend Shania in December 2017, she has found love with a man this time around and she’s over the moon about it. 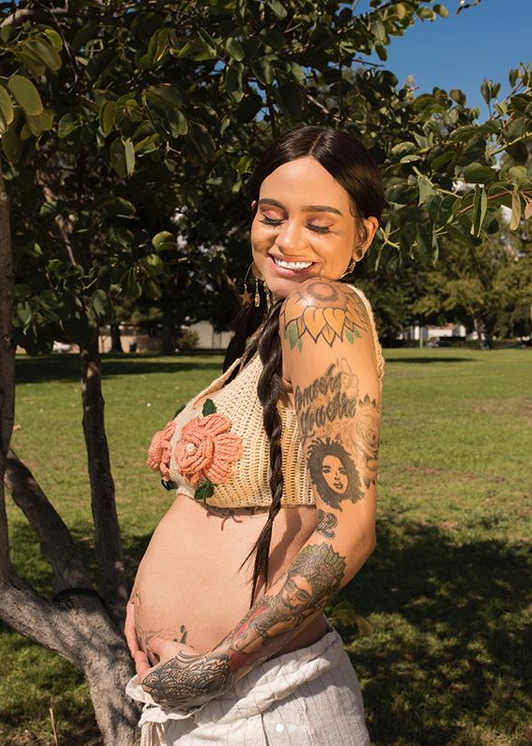 Kehlani, who collaborated with Cardi B on her track “Ring,” shared she plans on having a natural birth and she can’t wait to meet her little pumpkin. She confirmed she’s 4 months and counting down the days until her little bundle of joy makes her arrival. i have a daughter. me. i. me! 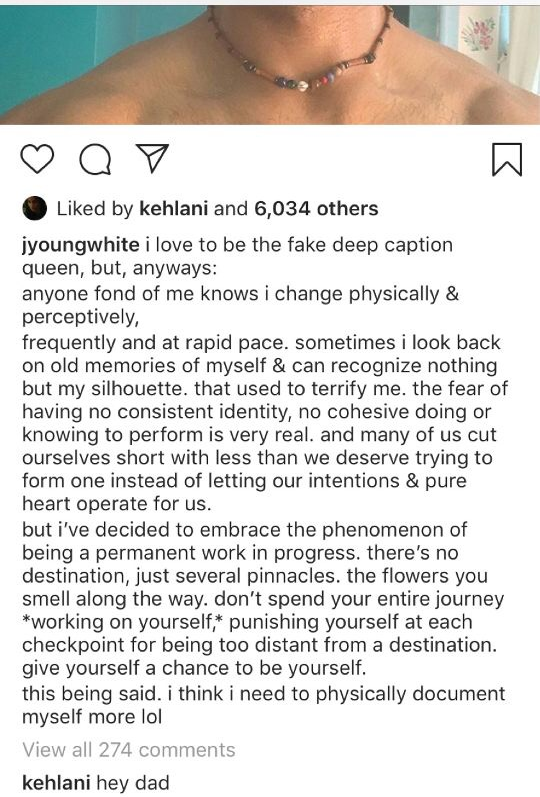 kehlani! i have a mini on the way. my partner is my best friend and quite frankly the only man on earth i trust. we are SO READY FOR U MIJA!!!!!!!!! the decision to share this with the world was a tough one, but i really want to experience the freedom and joy any normal pregnant person feels. i don’t want to hide. i want to walk around belly out everywhere. ME AND MY SHORTY OUT HERE! i’ve always been very open with you all about my personal adventures & accomplishments… this was the HARDEST to hide. if you know me, you know i’ve dreamt about motherhood since i was very young. when asked what my goals are, it’s always the idea of a big healthy happy family & whatever comes along is a plus . i am so honored to be given this gift by spirit, creator, and an amazing partner whom i trust with my body and life after a very traumatic experience that had me afraid of interacting with men as a whole for what i was sure would be forever (i’ll tell that story when it’s time). i knew sharing something so personal and precious could bring stress into my world but there isn’t a word anyone would say my way that could take away from this. dearest little girl, i am so proud to be your mommy. i am so proud to have received you. i cannot wait to meet you, i know you will be 50,000 times more special than i can even imagine at this moment. i am happy to document this journey and feel the freedom any pregnant person should. i’m looking forward to sharing my little world with you all… my partnership with my very best friend and lover, our journey of conception, my choice for a natural home birth with my AMAZING midwives at @parteramidwifery and eventually… the little pumpkin! i am now a HOME. 4 months and counting with you, angel of mine. SHE DONT WANNN HIDE NO MO we’re so ready for you mija! Other friends like Keke Palmer, Miguel, Young MA, Janelle Monae, Lil Yachty, and Ty Dolla Sign also sent their love in the comments section of her Instagram page. As for her baby’s fathaaaaaa…. Looks like he could be a member in her band. There’s something in the Hennessy around Hollywood because everybody’s pregnant.